Join Our Outstanding Adult and Teen Choir! At Saint Andrew the Apostle Catholic Church, we strive to make each liturgy a rich and fulfilling experience. To that end we consider the musical element of our worship to be of great importance. Every effort is made to help the worshiping assembly find their voice. 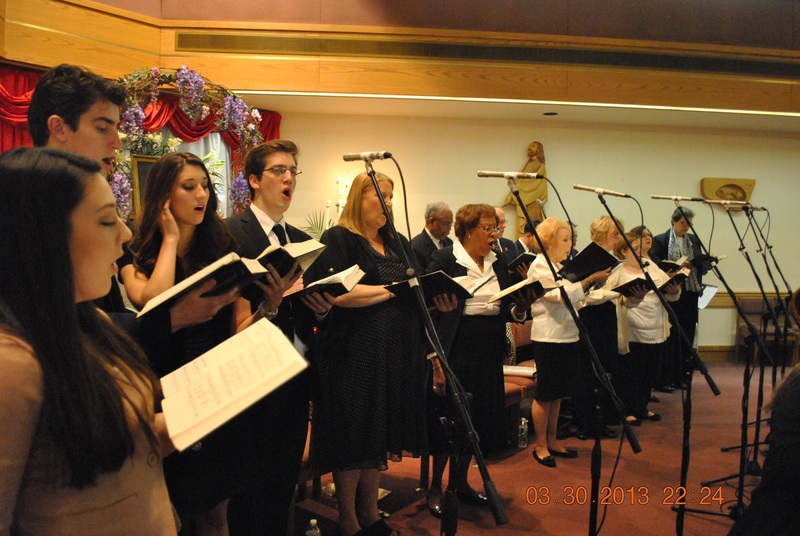 Choirs, cantors, and instrumentalists assist in the music ministry of the parish. Christian worship throughout the ages has been closely linked to a great tradition of music that gives glory to God and inspires us to service. It is our intention to carry that mission forward as we bring Christ’s message to our community and the world. The Children's Choir offers children ages 6 to 12 the opportunity to praise God through song. The Children's Choir practices on Tuesdays from 5:00 PM - 6:00 PM and sings at Mass twice per month. St. Andrew's Teen Ensemble welcomes all teens ages 13 - 19 who sing or play a musical instrument. Rehearsals are held everyother Tuesday throughout the school year from 6:00 PM - 7:30 PM, with Mass the Sunday evening following hte rehearsal. The Contemporary Ensemble is a group of musicians who play various instruments and sing in a contemporary style. The CE rehearses on Tuesday evenings at 7:30 PM. The Adult Choir is a community of men and women who enjoy singing and praising God Togehter. We sing at 2 or 3 Masses per month. Rehearsals are held in the church on Thursdays from 7:00 PM to 8:30 PM. Teens and Adults are invited to join us as we form a new Parish Handbell Ensemble. It's easy to participate even if you haven't had previous musical experience. Any teens or adults who have had instrumental training are welcome to share their gifts at both weekly worship and special celebrations. If you are interested in joinng any of our choirs or are an instrumentalist looking for a place to play and offer praise to God, or would like information about becoming a Cantor, please contact the Pastoral Associate for Worship & Music at 856-784-3878.